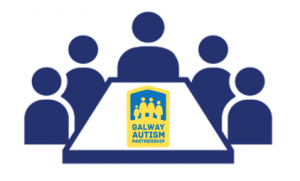 The Board of Trustees at Galway Autism Partnership currently consists of adults who have a personal connection to autism. Our Trustees serve in an entirely voluntary capacity. Our Trustees are all required to sign up to a Code of Conduct. In line with good governance, no Trustee can serve longer than three years. Our Trustees serve in these roles as volunteers because of their passion to help create a more equitable and supportive community for everyone, and to maintain GAP as a transparent resource for its members, in line with good governance as set out by the Charity Regulator and our obligations under the Companies Act. At GAP we always welcome new Trustees from our community. At this time we especially need people who have a professional background. As a small community charity, this can be invaluable in helping the charity achieve longevity and bringing the best possible benefits to the people GAP supports. We also welcome autistic adults who would be interested in becoming a Trustee. GAP could not cope with its every increasing workload without the many voluntary hours our Trustees dedicate to supporting the core staff of two at GAP. If you are interested in becoming a Trustee, please contact the GAP office 091 588899.